Blackness Castle was probably built by the Crichtons on a rocky promontory in the Firth of Forth, but was burned by an English fleet in 1481. From 1537, under Sir James Hamilton of Finnart, builder of Craignethan Castle, work began to turn the castle into an artillery fort, making it one of the most formidable fortresses in Scotland. 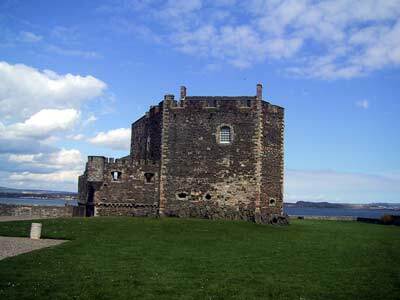 Blackness Castle was given to James II in 1453 and it has been Crown property since then. 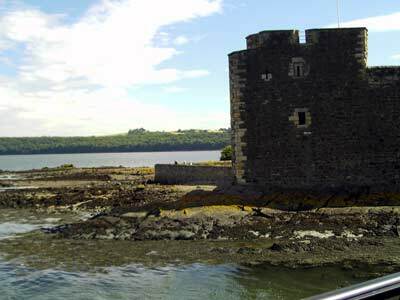 From 1543 to 1548 the Duke of Châtelherault, Regent for the infant Mary, Queen of Scots, used Blackness Castle as a stronghold for himself and as a residence for his children, but from 1548 to 1560 it was garrisoned by the French. In that year a Hamilton was appointed governor, remaining until 1567. The castle was secured for Mary's party on 21 February 1572 by Lord Claud Hamilton, while she was held captive in England, following her defeat at Langside in 1568. Its garrison harried shipping on the Forth and attacked the Fife burghs. 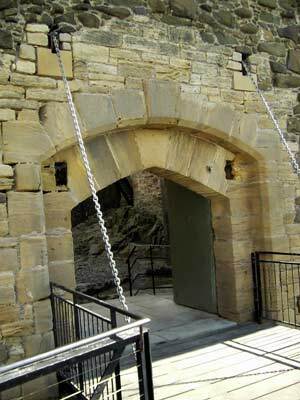 The castle was recaptured by the King's Party on 10 February 1573 through a combination of treachery and intrigue. After 1707, Blackness Castle was occupied by a smaller garrison but saw more activity during the French Wars (1759-1815) when it was used as a transit camp for prisoners of war. 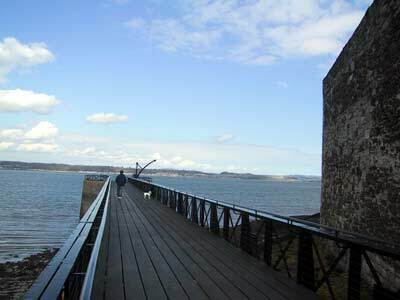 This pier was built around 1870 when Blackness Castle was the central ammunition depot for Scotland so that stores could be delivered by sea. After the French Wars the size of the garrison at Blackness was reduced. In 1870 it began the final phase of its military life, as the central ammunition depot for Scotland. Substantial alterations were made, including the building of new barracks and the roofing of the castle courtyard. Blackness was altered considerably from 1926 to 34 when in the care of the Office of Works as an ancient monument. They carried out a major programme of conservation and repair to return Blackness to something nearer a medieval castle. These consolidation works removed most of the Victorian building work carried out when the castle served as an ammunition depot.